Today we released an update to Facebook feeds for our Social Curator feature. If you have yet to hear of our Social Curator feature it allows users to pull multiple feeds from various social networks into a single curated feed to display on their sites. This is great for businesses running social campaigns, brands which leverage their social influencers to elevate their content and allowing your social management to automatically propagate to your main company site. If you do any sort of social engagement we encourage you to learn more about this feature. 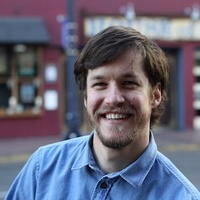 The Social Curator had been using Facebook's prior SDK version for awhile and it had finally come to it's end of life. So it was time to upgrade! We are now using the latest SDK and with that comes a few changes. Before we used to have feeds for the various types of post, photos and videos. Now with the latest SDK it's even simpler. There is a single type "Facebook User Feed". This can be a public feed for any user or page. 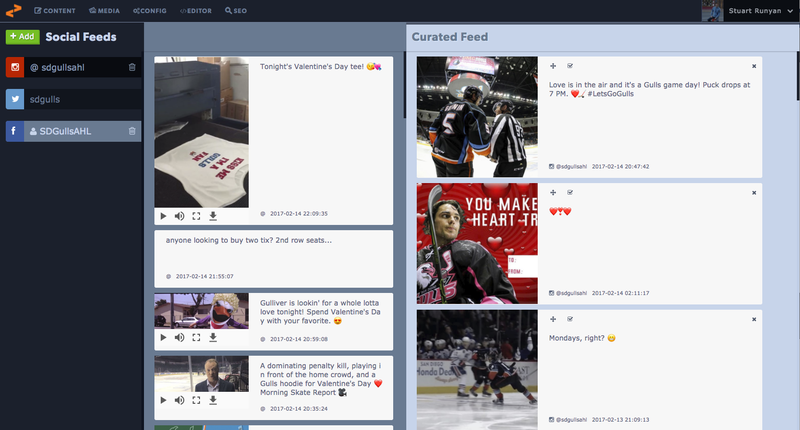 The feed can contain posts, photos, videos as well as links. 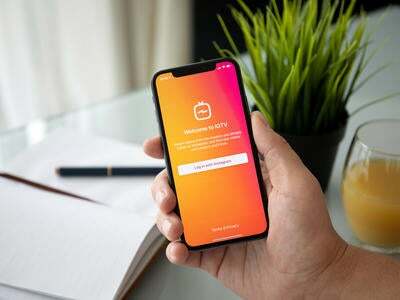 Along with this update comes a new way to connect. Where as previously we had a single app key. Now you will authenticate with your own user account. 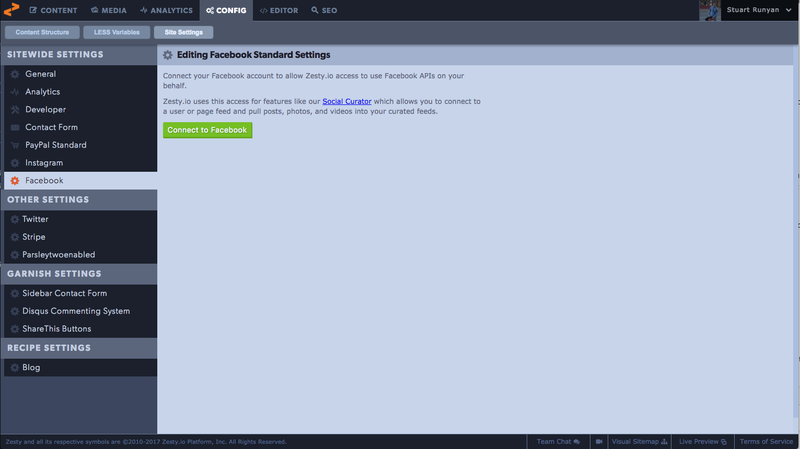 So before you add a Facebook feed head over to the Config > Site Settings > Facebook section. 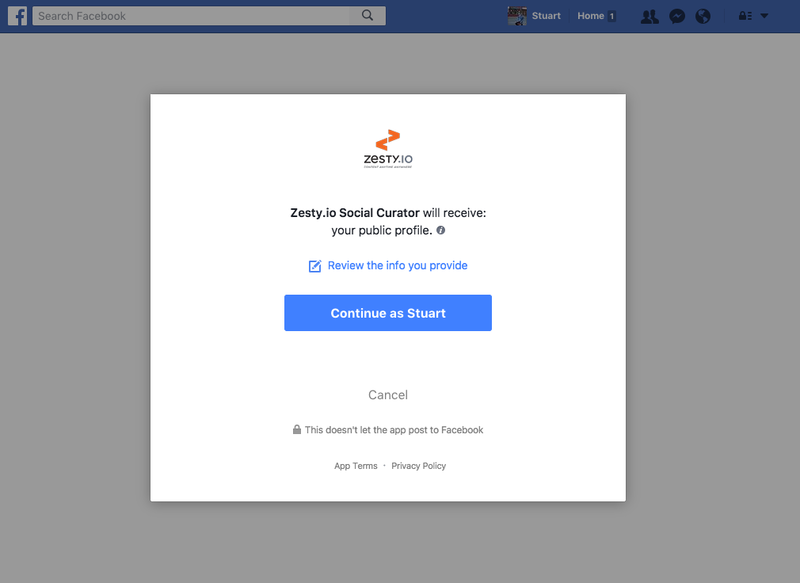 Once you click "Connect to Facebook" a new window or tab will open up with a modal for you to accept the Zesty.io Social Curator app permissions. Here you can review the app permissions we are requesting and accept giving Zesty.io access via your user. After you accept the application permission request the window or tab should close and you should see a message telling you have been successfully connected. Now you can head over to the Social tab and add a Facebook feed. When you go to add the feed if you have used the Facebook Social Curator feeds before you may notice that now there is a single "Facebook User Feed". 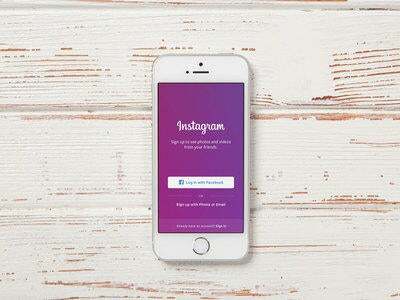 This feed will contain posts, photos, videos and links posted to the public profile. In addition to Facebook user profiles you can also add a Facebook business page feed. So business who have public Facebook pages can curator their content as well. 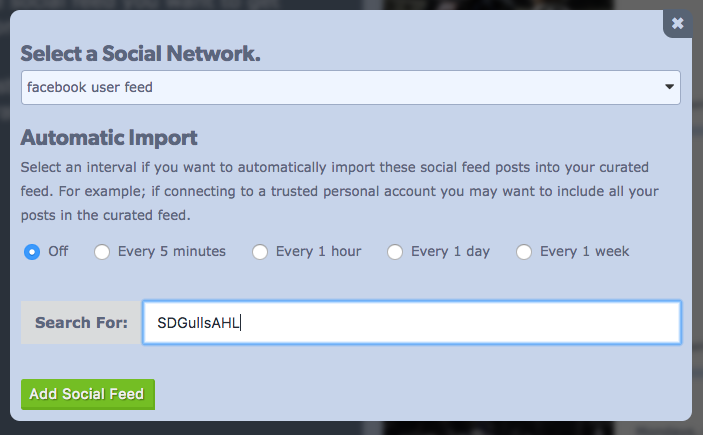 And just like before your feed can be configured to automatically import. This is great for trusted feeds, like business pages you own and operate. Then once your feed is added you can load it and begin curating content. 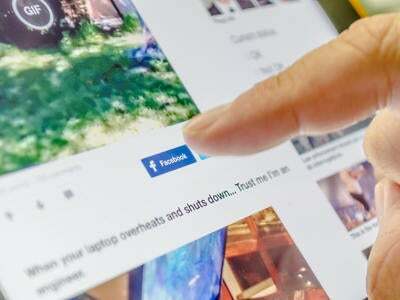 For customers who have previously created Facebook feeds you will find that those feeds are still there but you will not be able to create new ones with the old feed types. You will also need to go through the Facebook permissions process for those feeds to continue to work. 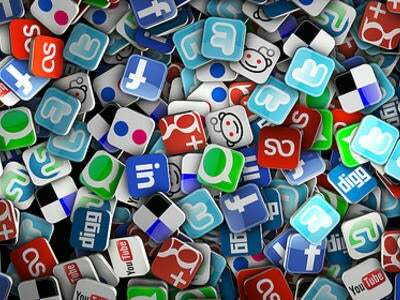 We hope these changes will be a welcome addition to our Social Curator. As always if you have any questions or feedback please feel free to get ahold of us either here or via our social channels.